GREENLEAF, Wis. — Looking for some fun activities this weekend? 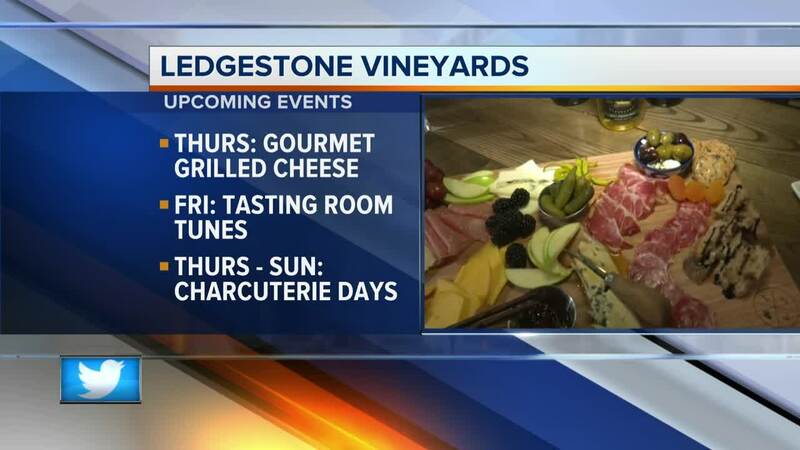 Ledgestone Vineyards in Greenleaf has several fun upcoming events. Thursday: "Gourmet Grilled Cheese Night" from 3 p.m. - 7 p.m. (running until April 25th, local bakers, local cheese, unique grilled sandwiches with wines or beers). 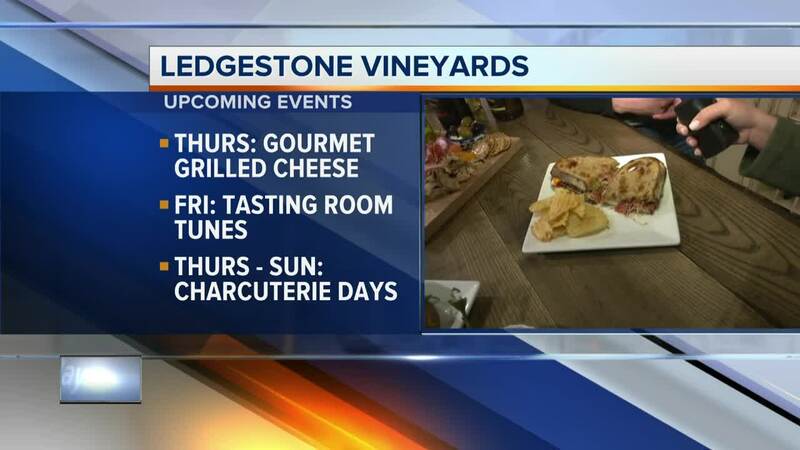 Friday: "Tasting Room Tunes" with Christopher Gold at 6:30 p.m. (live music, discounted flatbreads for 'Flatbread Friday')-- Special this Friday in addition to music, 3/22 **Secret pre-release of LedgeStone Vineyards 2nd vintage, this date only, they will have some of their 2018 wines released by the glass. Not fully released until Memorial Day Weekend! Thursday - Sunday: "Charcuterie Days," times vary, specializing in Charcuterie and Cheese boards. We've been dialing in our cheese & meat offerings using local products & showcasing beautiful wines. 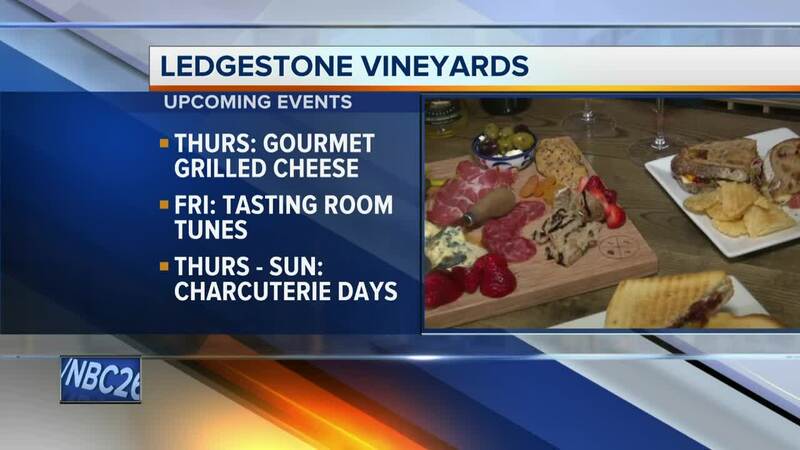 For more information on events and times go to LedgeStone Events [ledgestonevineyards.xyz].